Introducing the Innokin Cool Fire IV Plus 70W iSub Apex UK Kit, the next level in vaping technology. The classic Innokin Vape mod is 70 watts of pure vaping power and truly is an awesome piece of kit. 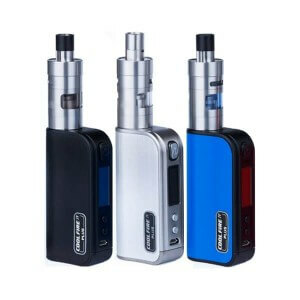 There is also a 150W option, the Cool Fire Ultra but for the vast majority the 70W Cool Fire-4 is the better choice. This review will highlight some of the best features about this great mod e-cigarette. The Innokin iTaste Kroma-A is similar in specification to the Cool Fire IV but has been upgraded with more power and a slightly more modern sophisticated design and new components. The Kroma-A functionality and operation are very similar to the Cool Fire and has an additional 5 Watts of power. Having said all that we still prefer the older Cool Fire 4 Plus simply because it is a classic, a true vape-master. The variable wattage or temperature control models makes the Innokin Cool Fire IV kit the perfect choice for new vapers starting out or more advanced vapers. Even for more seasoned vapers, the ability to change the wattage depending on your coil hardware or your vape preference, mouth to lung or direct inhale is a real asset for the Innokin Cool Fire. The Innokin Cool Fire IV Plus 70W iSub Apex comes with everything you’ll need to get started right in the package. It’s ergonomic design fits right in the palm of your hand meaning you’ll feel comfortable vaping whenever you want to. 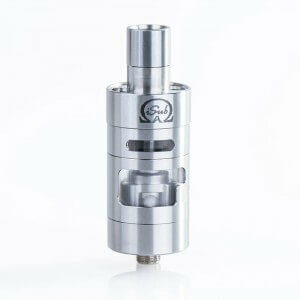 Make sure you get the iSub Apex Tank option and don’t confuse it with the cheaper and lower spec Isub G Version or the Cool Fire 40W version. You can even vape whilst you charge! Priced at around £50.00-£60.00 the Cool Fire is worth the money. We have found authentic Cool Fire IV’s here as low as £50 here so get yourself a bargain. And buyer beware, there are a lot of fakes around. You can vape with the Innokin Cool Fire Plus even whilst it is charging due to its unique ‘pass through’ technology. Plug in the micro USB to any port and continue to vape whilst your e cig is charging. Charging this mod is a doddle, with a full charging lasting at least 24 hours for one of our heavier vapers. This mod is also great for all levels of users. Beginners, intermediates and advanced vapers will all benefit from this mod as it reaches 70w and can be used with 0.1 ohm coils – the lower spec Cool Fire 40w is perfect for beginners. All of your e-cigarette information is displayed on the LED screen on the side of the mod. From remaining battery life, to output power, you’ll always know where you are up to with the Innokin Cool Fire IV Plus 70W iSub Apex. The Innokin Cool Fire prides itself on its sleek design that fits comfortably in the hand. Its curvy design, natural design has the stylish feel of a top-level product. Its buttons are easily accessible to the thumb without too much of a strain on the hand. Its 70 Watts of output can power down to 0.1 Ohm. Its battery life is excellent, with a long lasting 3330mAh battery ensuring that this product is designed for all day usage. The kit includes the best selling iSub APEX tank with its quick and clean top-fill design which helps to create the perfect vape. The 70 watts of power really helps to bring out the amazing flavours of the juices. The Fire IV has also been credited as having an excellent charging time allowing you to use again quickly once the device has run out of battery. 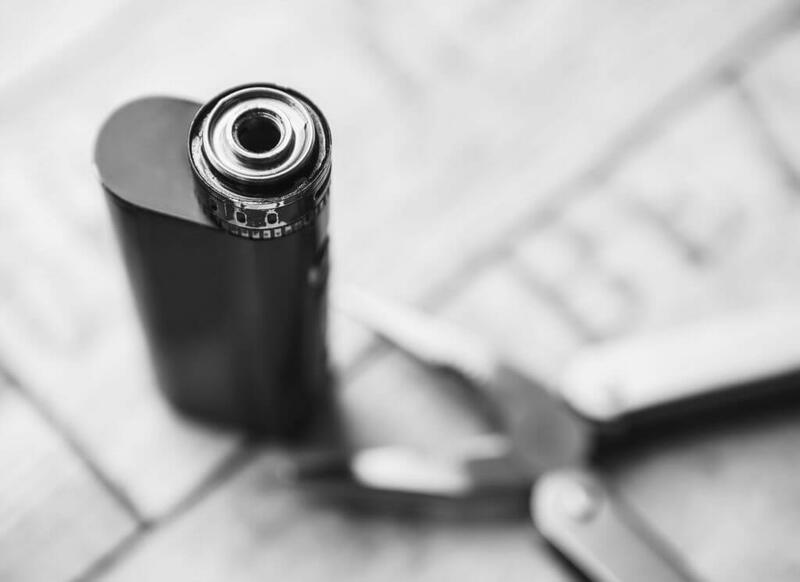 Before you decide on what box mod to buy make sure you read our overview review on best vape mods generally and the pros and cons of both vape pens and box mods including running costs and nicotine content. For those starting out or more advanced vapers wanting extreme vapour and who are looking for a bit of a bigger kick than your typical e-cigarettes, the Cool Fire IV mod is an essential buy. For complete novices, the Cool Fire IV is the best piece of kit you will get your hands on and right up there with our favourite Kanger Subox Mini & Nano, especially in regards to the amount of vapour that is released. 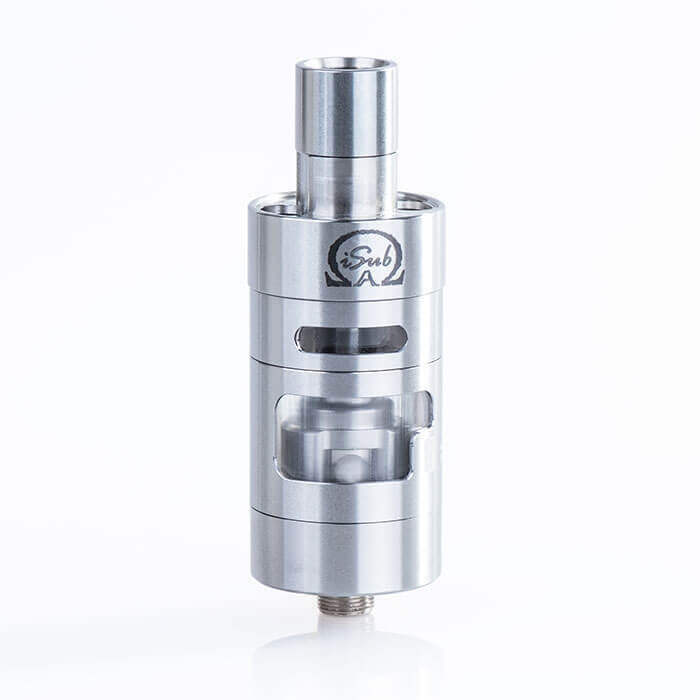 The variable wattage allows users sub ohm and standard vaping – your choice! The iSub Apex Tank’s patented Prism convection airflow system draws in air through the dual raised adjustable intakes then down onto the heated outer chamber and then back up through the vaporizer coils delivering maximum flavour and also minimising leakage. The advanced new design, “Prism Flavor+” claims to boost e liquid flavours to bring out the best in your favourite juice. The interior design of the iSub-Apex Prism system further enhances your e liquid vapour and delivers an exceptional burst of flavour with every vape!